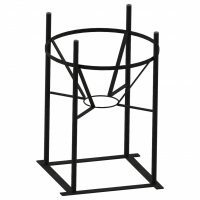 Tanks feature full drain conical bottoms and outlet for complete drainage. Tank walls are translucent for level viewing and equipped with gallon/liter indicators. Tanks are manufactured from high-density polyethylene with UV inhibitors and are designed for the containment of liquids of up to 1.7 specific gravity. Blow Mold Inductor Tanks with Poly Stand Set are designed for indoor or outdoor stationary applications. 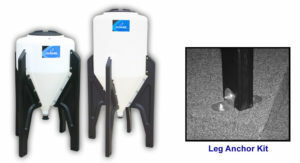 Anchor Kits are available for transportable (non DOT regulated) applications. 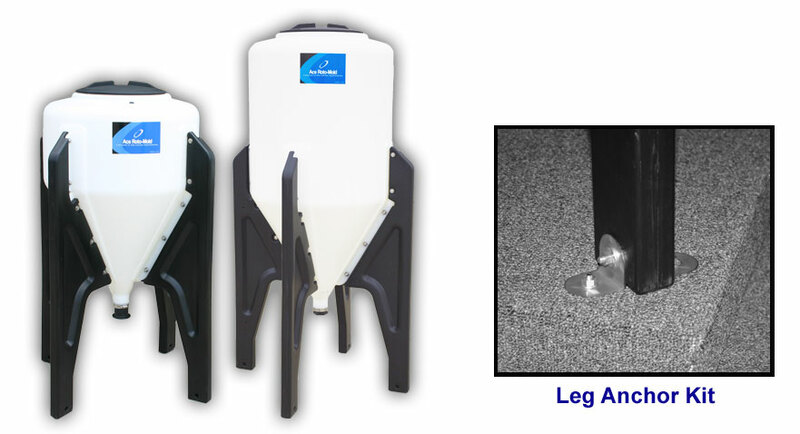 Four blow molded polyethylene legs are included that attach directly to the tank with stainless steel hardware.